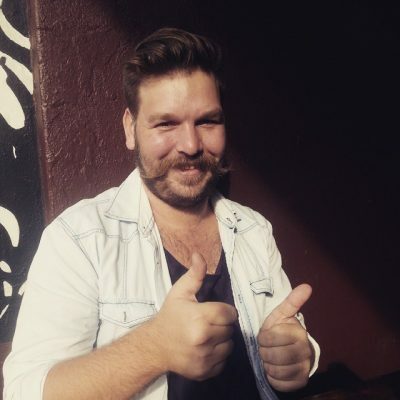 Laugh your Arniston off at the Weekender Francois van As won the Comedy Central “Grab the mic" last night in Johannesburg and has also curated all the comedy for the Arniston Weekender The Weekender is back in Arniston (2-4 December) and they come bearing gifts. This year they will be bringing festival goers an exclusive and intimate comedy stage, the likes of which has never before been seen in this quiet coastal town. Well, quiet for now. Brought to life by an improbable pair The comedy stage at this year's Weekender at Arniston has been put together by the festival's organiser, Christopher De Vries with the help of Afrikaans funny guy and Bredasdorp local, Francois Van As. What makes their relationship interesting is the fact that they didn't meet on Linkedin or Facebook, but rather in a club Christopher approached Francois after a stand-up comedy show at the aforementioned venue and Francois agreed to help him craft a special comedy experience, exclusively for Arniston. When Francois looks back on the events of that fateful evening, he realises that he might have agreed to anything at that moment. Not just because he had adrenaline surging through his veins from an amazing time on stage, but also because he was severely relieved that the tall gentleman was too cool for words . Never before seen in the Overberg Underground stand-up comedy has been around for a long time in South Africa, but it has only recently become mainstream, with the arrival of the Comedy Central channel on DSTV and the international success of comedians such as Trevor Noah. Even though stand-up comedy has become more accessible to South Africans it is still something that can mostly be experienced only if one travels to Cape Town or Johannesburg. Quality stand-up comedy shows in the platteland, such as the one happening at The Weekender : Arniston, is a rare and precious find. A new exciting line-up This year's line-up at the Weekender's comedy stage is like a . . . The EWT Senior Golf Series named the South African Senior Open, which will be held in April 2017 in Plettenberg Bay, as the first event in their new venture. 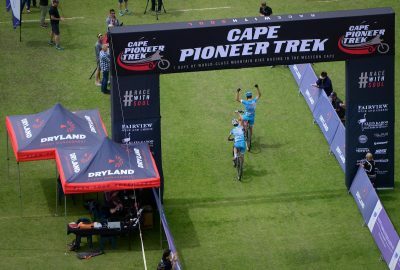 The tournament will focus on raising awareness and funds for the Humpback Dolphin, while offering a half a million Rand prize. 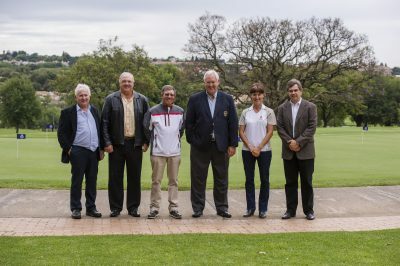 This new Series of Seniors golf events sees The Endangered Wildlife Trust (EWT) and the South African Senior Tour (SAST) partner to create a unique set of golf tournaments that will create regular games for senior players, while helping to protect our precious natural environment. The EWT Senior Golf Series broke the news of the flagship event at a press conference at the Royal Johannesburg and Kensington Golf Club yesterday, where members of the media, senior golfers and key players gathered to hear more about this exciting new initiative. The emcee for the morning, Dale Hayes, reminded those in attendance that the USA Senior Tour, spearheaded by Arnold Palmer, took off 25 years ago and was the biggest success story for golf in the ‘80s, and said that it was high time South Africa boast a similar set of events. Accelerate Sport’s Managing Director, Gary Grant, noticed this gap and was overjoyed to fill it with a golfing series that would raise funds for endangered species. “We will start with ten events across South Africa and the SADC region, which will include three Majors; the Open, PGA and Masters,” Grant said. “Our first event will be the South African Seniors Open, which will run between 4 and 7 April at the Plettenberg Bay Country Club. Over the four days 72 pros and 72 amateurs will play for the biggest amount of prize money since 1997; R500,000.” The event will also double up with the Golf Hall of Fame, who will host their annual induction dinner over the period that the South African Senior Open is played. Yolan Friedmann, CEO of the EWT says the choice to raise awareness for the Humpback Dolphin was an easy one, considering the location. “Although the species is . . .
Get 100% off - i.e Pay NOTHING for your Press Release to be FEATURED on MyPR and our partner sites - and not for Black Friday only but for the rest of the month. MyPR has an option for Press Releases to be set as featured releases on the site. For today and the rest of November we are giving away five Featured Releases per day for nothing, free, gratis and Mahala. 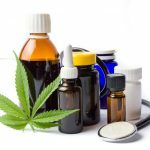 All you need do is to go to: http://mypr.co.za/free-submit/ (this is the ONLY link to get a Free Featured Press Release) Only FIVE per day will be accepted. Featured Press Releases gain from greater exposure on the site as well as from our partners. In fact the increase in reach is over 10 fold, along with preserving your valuable hyperlinks in your release to where readers can find more information. Featured Press Releases appear in the home page slider on MyPR, randomly at the bottom of EVERY press release ever published and in the Right Hand Sidebar where applicable. 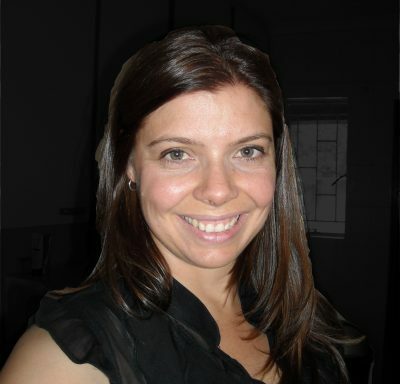 Along with being monitored by Newsclip, MyPR offers extreme value and return for the busy PR Professional. 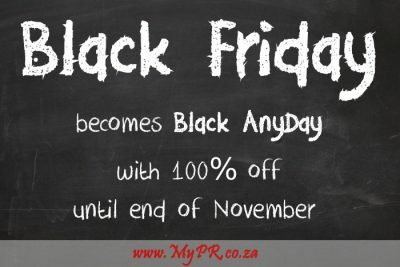 YouTube: https://youtu.be/9ovzdChGkuU CLICK HERE to submit your press release to MyPR.co.za. . . .
Internet consumers and resellers alike can look forward to exceptional value from Domains.co.za this Black Friday to Cyber Monday. 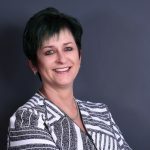 "We're using Black Friday to Cyber Monday to highlight the need for affordable hosting and value-added services to be added on top of successful domain name registration," said Domains.co.za Managing Director, Wayne Diamond. He added that resellers will also find exceptional value at Domains.co.za from tomorrow. Domains.co.za is a leading South African ICANN-accredited domains registrar, website and hosting provider. From Friday, 25 November 2016 to Monday, 28 November 2016: · The Pro Hosting Plan has been reduced from R169 to R89 per month and includes 15 gigs SSD storage, · Web Hosting, ADSL & Anti-Virus bundle on offer for R199 per month that usually costs R274 and it includes 50 gig ADSL, budget hosting and anti-virus, · Website Builder, ADSL & Anti-Virus was R295, now going for only R219 per month · Finally, Reseller Value Hosting Plan that normally retails for R479 is going for R369 per month, additional information can be found at www.Domains.co.za. All web hosting plans include free domain name registration, super-fast SSD storage, free emails, easy installs, and weekly back-ups. Traditionally a day of huge online discounts, Cyber Monday is a marketing term for the Monday after the Thanksgiving holiday in the United States. The term "Cyber Monday" was created to persuade people to help grow the worldwide by shopping online. Black Friday is the day following Thanksgiving Day in the United States (the fourth Thursday of November). Earlier this year, Domains.co.za became the first South African Internet Service Provider (ISP) and hosting provider to enable SnapScan as a payment method. This means it is able to receive cardless and cashless secure payments for domain name and hosting services. For further information, please visit: https://www.domains.co.za CLICK HERE to submit your press release . . . Beat the year-end blues and recharge your batteries. 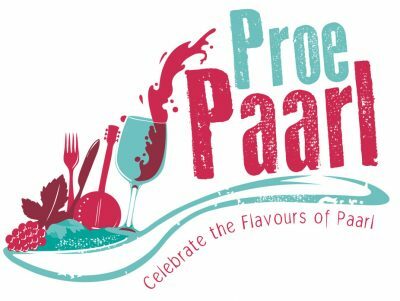 Escape to the heart of the Cape Winelands for Proe Paarl – a month-long celebration of the unique offerings of the Paarl region. From 16 November to 18 December, Paarl will be pulling out all the stops to offer visitors a great experience ranging from outdoor activities, country cuisine, warm hospitality and award-winning wines. Whether you have time for a quick day trip or a weekend breakaway, Paarl is the place to play this summer. TASTE PAARL Paarl is becoming increasingly well-known for its culinary offerings and Proe Paarl has lined up some gourmet delights that will tantalise the taste buds. The magnificent Grande Roche hotel is offering a truly authentic dining experience with an elegant twist during their Bubbles and Braai events on Saturday, 26 November and Thursday, 15 December. Traditional barbeque dishes are cleverly paired with fantastic Method Cap Classique and will surely delight guests. Start your day at Paarl's most iconic landmark – the Afrikaans Taalmonument. For the duration of Proe Paarl, the Volksmond Coffee Shop offers an authentic Afrikaans breakfast with eggs, mieliepap and boerewors with "boeretroos" or rooibos tea at R80 per person. Alternatively, try a traditional lunch of bobotie, melktert, a cup of "boeretroos", rooibos tea or a glass of Boland Cellar wine for at R150 per person. The cost includes entrance fee to the monument. A special kiddie's menu and play area is available. The Boland Kelder Bistro will open just in time for Proe Paarl season. Guests can enjoy delicious bistro-style meals, while enjoying the gorgeous scenery and award-winning Boland wines. Also make a note of Mellasat's Summer pop-up restaurant for a fabulous summer dinner and lunch menu on Thursday, 10 November, and Friday, 11 December, from 12h00. Paarl is home to some exquisite historical wine estates, so take an opportunity to visit and taste some fantastic food and great wines. Marvel at the . . .
Goodbye to ties and suits! Ciao to the chores of daily life! In the holiday kingdom, all is sunny and dandy. Vilebrequin’s special Christmas print plunges one into the magic of a Christmas where all our wildest dreams can come true: surfing over land and sea, twisting and twirling on ice caps as if they were skating rinks, flying far, far away on a sleigh, enjoying our summer vacation… This particular Christmas print speaks to the child within, themed – in the land of our childhood. Perhaps that’s the greatest luxury of all: learning to let go, if only for a week or so... 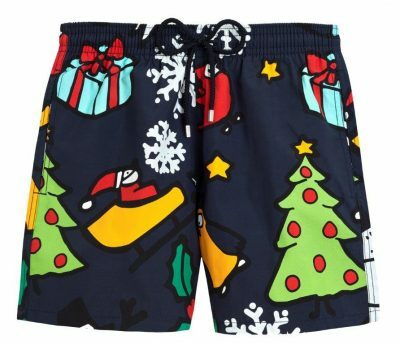 Discover the Noël Christmas print for fathers and sons at Vilebrequin stores located in the V&A Waterfront in Cape Town, Melrose Arch and Nelson Mandela Square in Johannesburg and Thesen Island in Knysna. Follow Vilebrequin on Instagram @Vilebrequin_SA or Like us on Facebook (Vilebrequin SA). STORE DETAILS Vilebrequin Nelson Mandela Square | Shop 20 | Tel: 011 883 0001 Vilebrequin Melrose Arch | Shop HL57 | Galleria | The Piazza | Tel: 011 684 1775 Vilebrequin V&A Waterfront | Shop 7253 | Victoria Wharf (Brand Mile) | Tel: 021 421 8523 Vilebrequin Knysna | Th10 | Long Street | Thesen Island | Tel: 044 382 0972 CLICK HERE to submit your press release to MyPR.co.za. . . . Creating a fresh look in your bathroom doesn’t mean you have to bring in an expensive remodelling team; it’s often the little details that make a big difference! 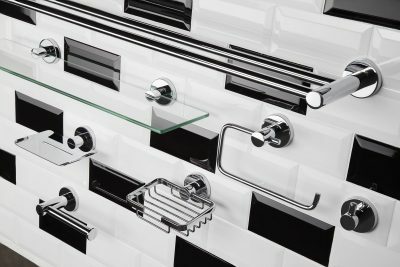 Make your space feel new again by adding these sleek, stylish accessories and make your bathroom a sanctuary. Available from Handles Inc. Double towel rail – from R900 Glass shelf – from R580 Hand towel holder – from R300 Soap dish – from R340 Hook – from R190 Toilet roll holder – from R290. Also, if you're in Cape Town and want to source product - we can easily arrange that. With Handles Inc you can easily create a slick designer pad, quirky villa feel, a bathroom haven or a cutting-edge office environment with their quality handles and bathroom accessories. Architects and interior designers know that it’s details like these that make a space truly unique and exceptional. With a collection of over 9000 items to inspire you, Handles Inc has specialist designer pieces personally selected from top global manufacturers. With these exclusive ranges and a design-savvy team on hand to assist, Handles Inc will help you make your home or office a space that reflects your individuality – and a dream to live or work in. For your local stockist visit www.handlesinc.co.za or call 021-422 2322. CLICK HERE to submit your press release to MyPR.co.za. . . . 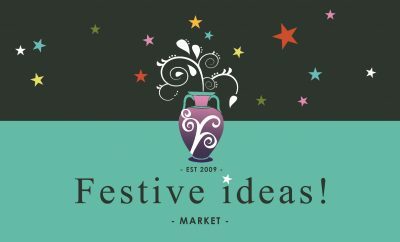 This year’s Festive Ideas Market at the Simondium’s Country Lodge promises to be a star-studded event for festival goers. From Wednesday, 2 November, until Sunday, 6 November, this distinctive market is celebrating its uniqueness beneath the Southern Cross. Are you looking for that special gift for one of the stars in your life? With more than 100 exhibitors with innovative and originals products of the highest quality, you’ll find the perfect gift for any occasion. Discover designer clothing for all ages, beautiful fashion accessories and hand-made jewellery as well as a sensational selection of pampering products. If you want to spruce up your house, kitchen or garden before the festive season, this market is the ideal place to pick up exceptional decor items such as imported linen, table ware for your festive table ranging from silver cutlery to crystal glasses and antique porcelain – as well as gorgeous Christmas decorations. The Festive Ideas deli is brimming over with the yummiest home-baked goodies to fill up your pantry before the holidays. Spoil your loved ones with mouth-watering biscuits, rusks, gourmet coffees, hand-made sweets, jams, relishes and canned treats as well as fresh farm produce and even speciality fruit cakes. Enjoy the relaxed and festive atmosphere of the elegant old guesthouse and its lush gardens with soothing live music, delectable snacks and a glass of wine, while the kids can play in a specially dedicated kiddies area. The market is open from 09h00 till 17h00 from Wednesday to Saturday, but closes at 15h00 on Sunday. Free parking and security is available. Entrance is R30 per adult, but free for children under 18. Don’t miss the special preview on Tuesday, 1 November, from 14h00. The Simondium’s Country Lodge is easily accessible on the R45 between Paarl and Franschhoek, only 60km from the Cape Town central, 13 km from the Klapmuts turn-off and a quick 15km from Stellenbosch via the Helshoogte Pass. For enquiries, . . .